The Gem Tree is now proud to sell a variety of gothic / alternative jewellery made by Alchemy, and are authorised retailers for this stunning range. This is an ever growing company that has been based in Leicestershire for many years and is now very well known. But what makes their jewellery special? Alchemy uses the best materials for their jewellery and each piece is delicately hand sculpted. They mostly use fine English pewter but have also been known to use copper and surgical steel. As we all know gemstones contain healing energy, but as the items used to make this jewellery are all natural, then these items can also be beneficial. Each piece of gothic jewellery is hand crafted out of magical and natural materials with love and care. Plus for hundreds of years now (in time of the original Goth’s) jewellery has been made from pewter, so they also make very nice traditional gifts. With a lot of the jewellery they design they also include a crystal of some sort just to give the item a very positive and healing energy. Also pewter does NOT turn your finger green or any other colour that it shouldn’t be. The most beautiful and original gothic earrings, pendants, necklaces, rings and bracelets. We have examples of each on our website and can guarantee that each item we sell is top quality. 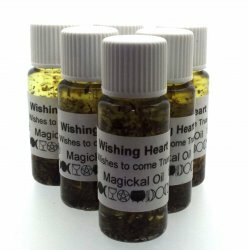 Each item that we sell made by Alchemy is priced at the RRP that they suggest.